Due to the nature of our products, we will not issue any refunds after the original product has been installed. There is a 15% restocking fee for any returned parts. If you have any question or concerns regarding your part or application, please contact us before making your purchase. If you ordered the wrong part we will exchange it for the correct part if you notify us within 7 days of delivery. We will not be responsible for the return shipping charges associated with the exchange. All exchanges must have prior approval and accompanied by a copy of the original invoice. All components are quality checked and tested before shipment. Once a customer accepts the shipment and removes the unit from the original packaging, there will be no refunds allowed. For information regarding core returns, please refer to our Core Policy. We offer a commonsense, customer-friendly warranty to back up our quality promise. This warranty covers all OEM replacement components (this excludes performance parts) for one year, with unlimited mileage. We HIGHLY recommend that all components are installed by a certified technician. A period of one year, and unlimited miles will be the duration of supplier warranty to distributor for parts listed herein. Warranty effective date is the date of shipment of component. Proof of purchase must be accompanied with return of the component. If proof is not supplied, unit date code will be used. If the suspect part is found to be defective, it will be credited or replaced at the option of Reman Auto Electronics. Reman Auto Electronics assumes no liability and will not incur the costs of labor, technical fees, towing, rental/courtesy vehicles, etc. that relate to the purchase and installation of units purchased. 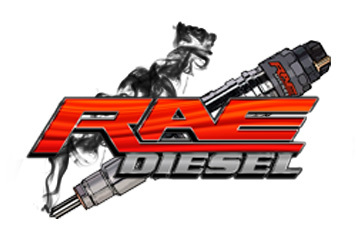 RAE Limited Warranty covers and includes all defective stock (material and/or workmanship). This warranty does not apply to defects caused by, but not limited to, misdiagnosis, incorrect application, improper installation, misuse, collisions, or negligence. Unlimited mileage on installed parts (excluding performance parts) within the first 12 months is included under this policy. Must be in off engine condition, not disassembled, or damaged due to force or fire. No contaminates of any kind including, but not limited to: non-diesel fuels, gasoline, any substance that causes staining, corrosion, foreign debris, or rust. No signs of tampering, modification, abuse, or non-original parts. Must not be due to improper application, installation, or operation. Please contact our support center and we will provide you with a Warranty Request Number and prepaid shipping label. Returned unit must be the same unit delivered. Return the component in an appropriately sized box along with sufficient packaging material (such as crumpled newspaper, cardboard, or Styrofoam). Place the return label in a visible location on the outside of the box. Drop the package off at your nearest UPS store, or request a pickup through UPS. Any warranties sent without necessary information risk being received as core and cannot be reversed once received. Under no circumstances will Reman Auto Electronics be responsible for any incidental or consequential damages which may result from the breach of any expressed or implied warranty, including any liability for loss of use or diminished value. Reman Auto Electronics reserves the right to alter or modify this policy at any time. Customer notification of any changes to the warranty policy will occur before implementation of revised policy.